Since I get the occasional email asking me what it's like where my wife and I live in New Zealand, I thought I'd publish a few photos of our house and our local beach. I'm probably the world's worst photographer, but at least the digital camera makes being a bad shot far less expensive than film and I'll be adding new photos in the future. 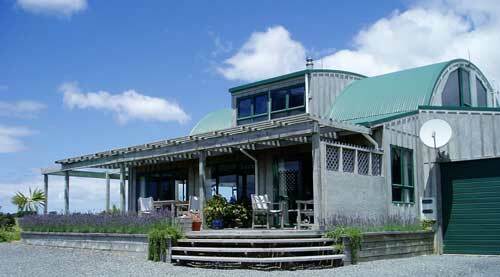 (Right) The front of our house on the hill above Matapouri Bay. The house is nearly set on a north-east-south-west axis: the front of the house faces almost due north and this shot is taken looking towards the south-east. The west facing upstairs window just above the SKY satellite television dish is the window I look out of when I'm looking for inspiration. I often see seagulls, herons, hawks, wood pigeons, larks, swallows and ducks fly by over the valley below our property. (Left) Photo of house taken from the east looking west. My wife's studio is behind the upstairs window to the left and the window to the right with the curtain partially drawn is our guest room. 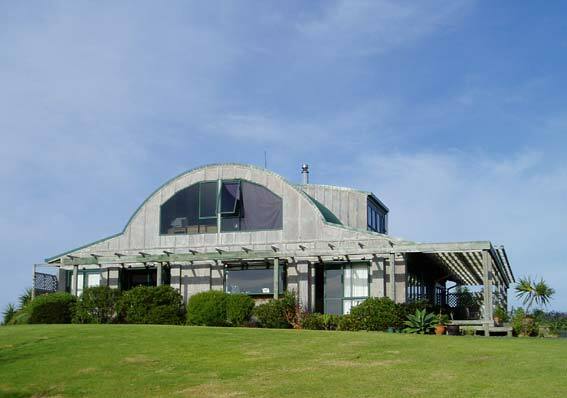 With wonderful seaviews from both the east and north facing windows it's the perfect place to check out the surf. 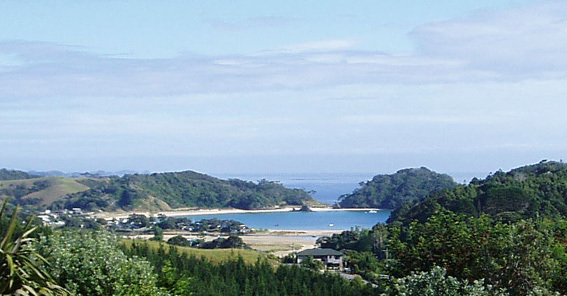 (Right) A view of the bay on a calm, peaceful day looking north from the north facing guestroom window upstairs. No surf, but wait until the next shot! It was around 4 metres (or 13 feet) that day at the river mouth and, if you've got good eyesight, you can just see a surfer paddling out. The surf was even bigger - and more crowded - a five minute drive up the coast at Sandy Bay. Through the saddle you can see how big it was breaking on Elizabeth Reef (aka Lizzie Reef), which is our surf indicator for Sandy Bay and our part of the east coast. 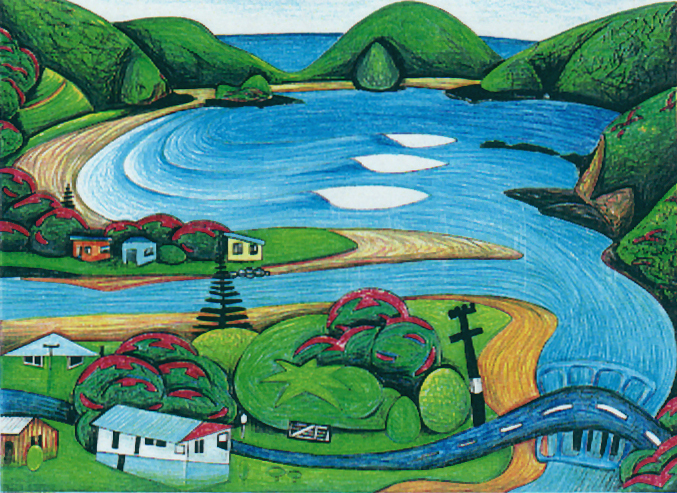 One of my all-time favorite views of Matapouri painted by Wade Gilbert.